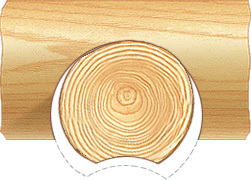 Handcraft cutting is one of the most remarkable and high quality technologies. 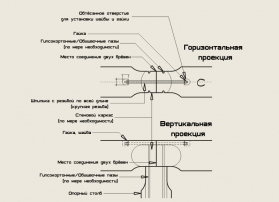 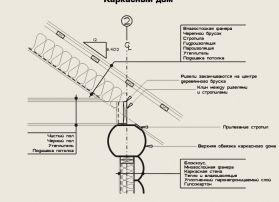 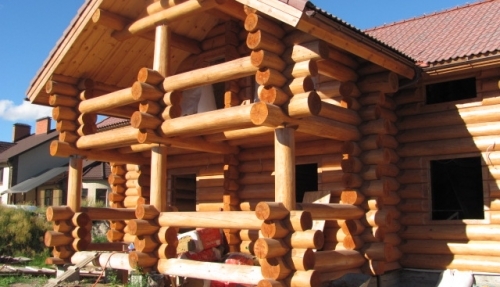 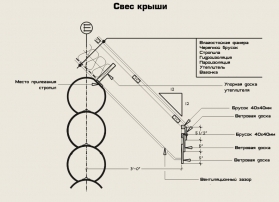 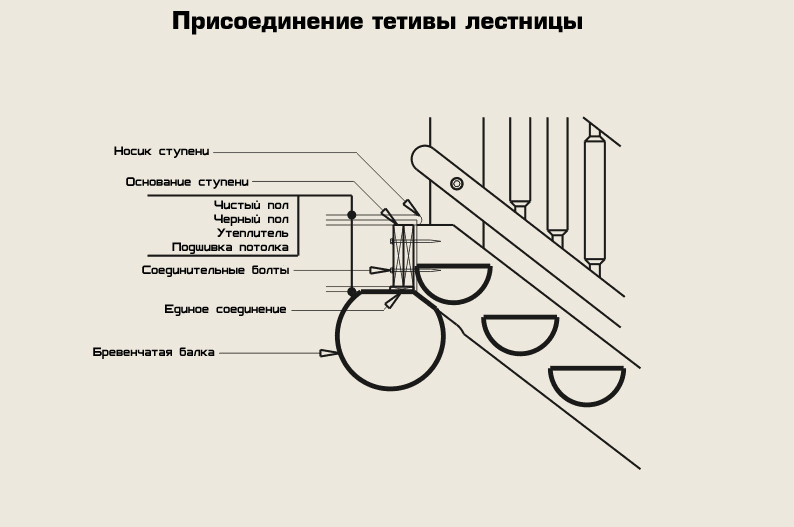 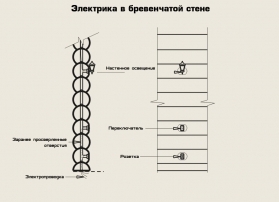 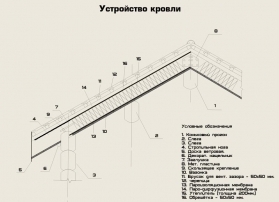 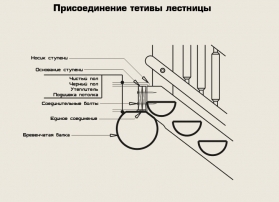 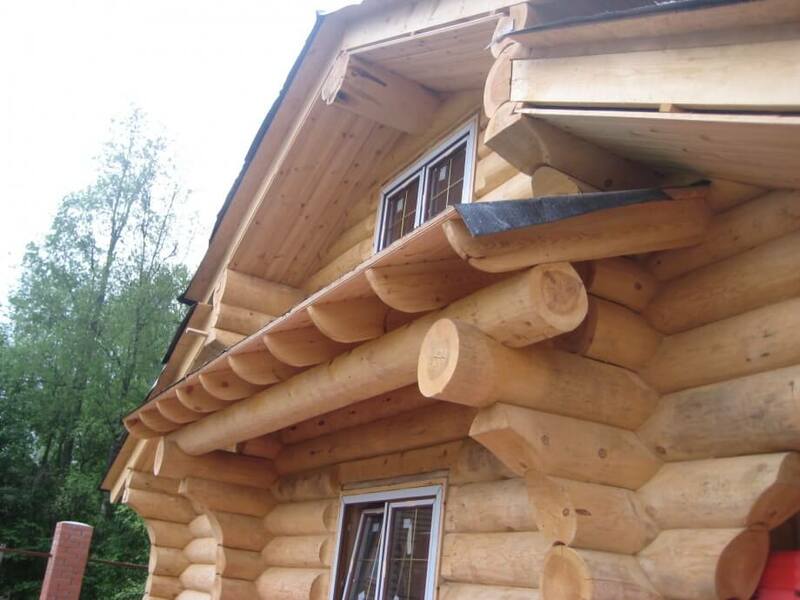 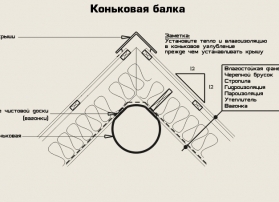 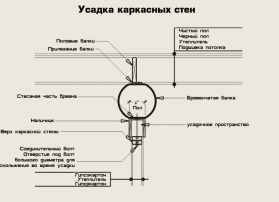 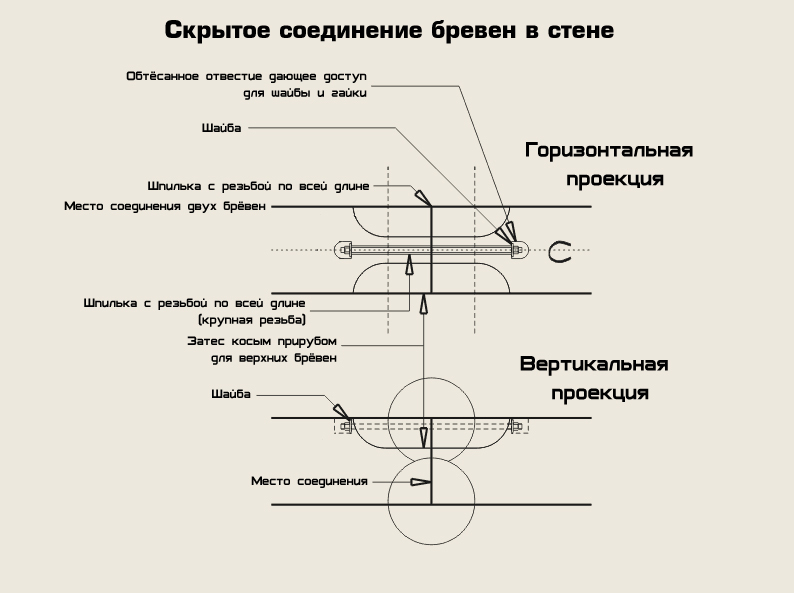 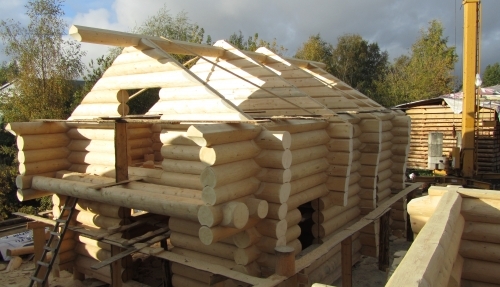 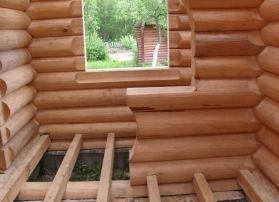 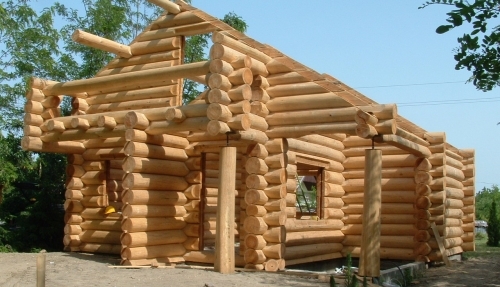 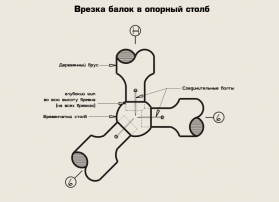 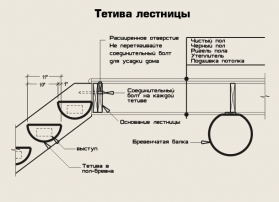 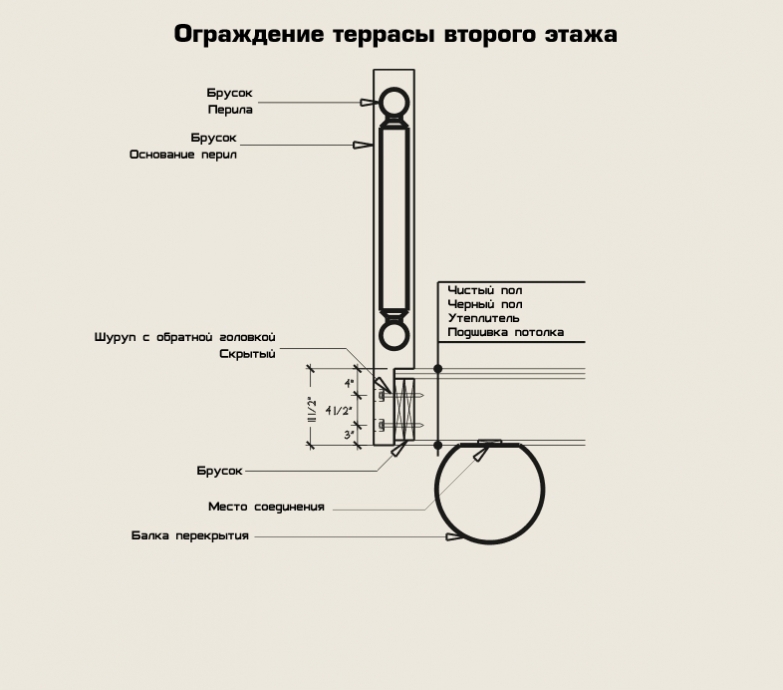 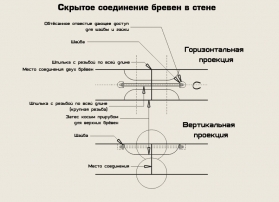 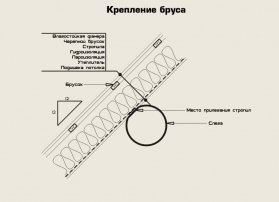 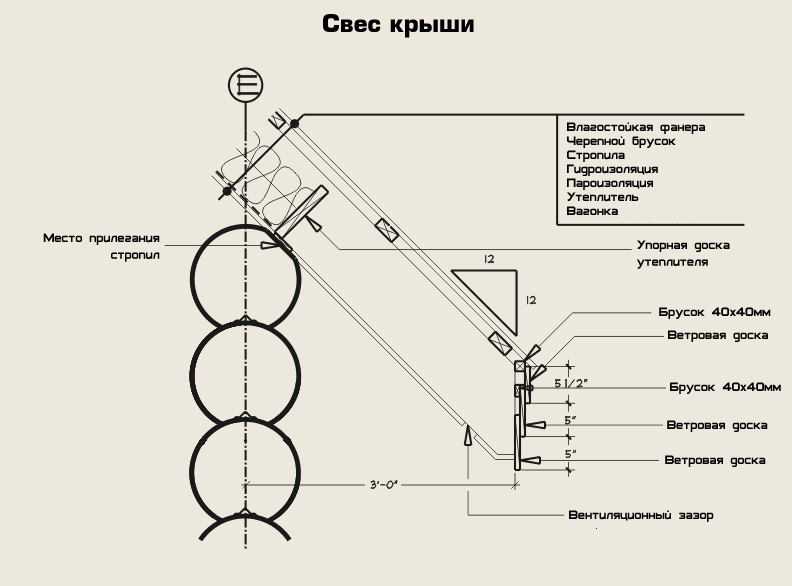 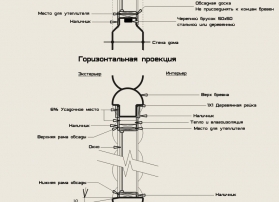 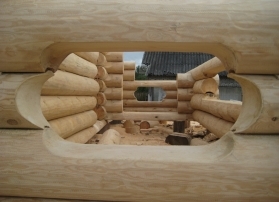 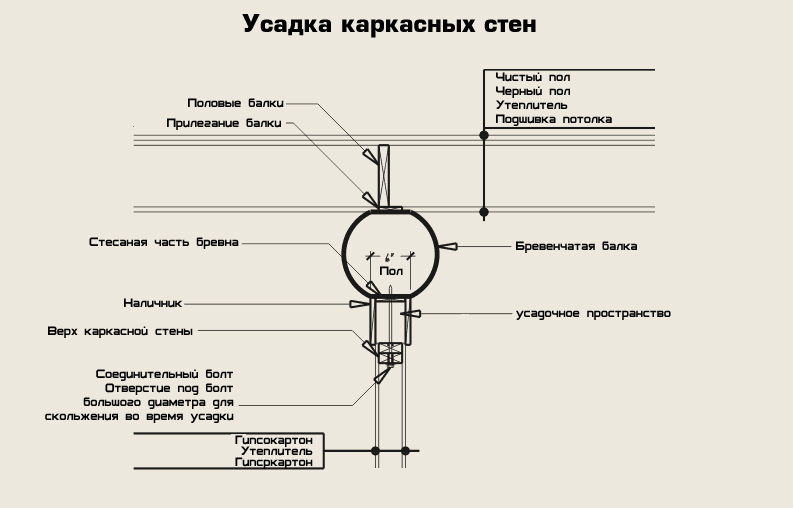 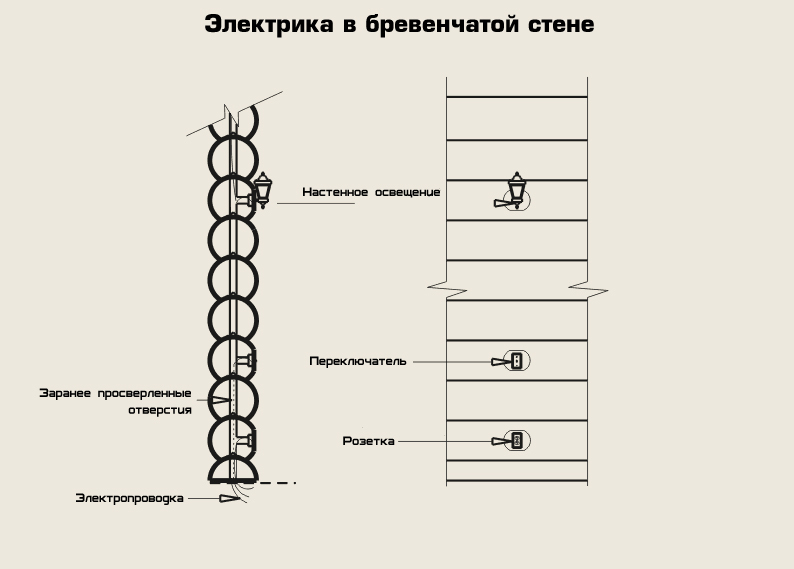 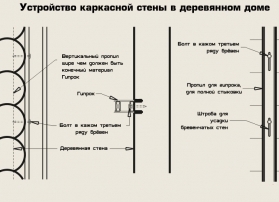 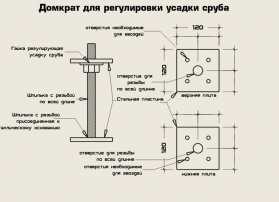 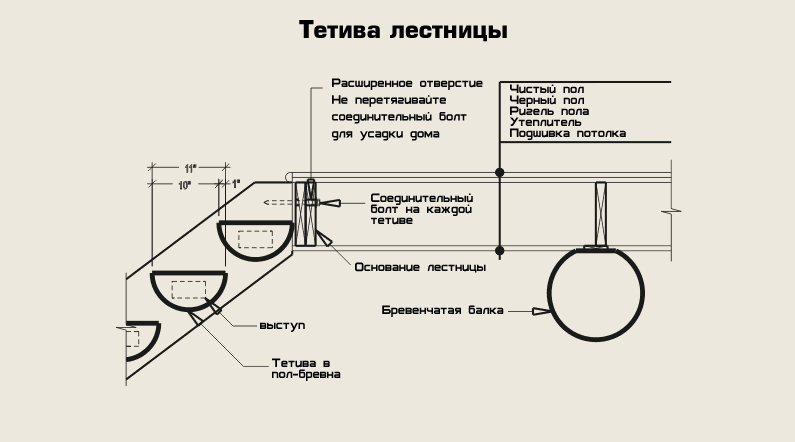 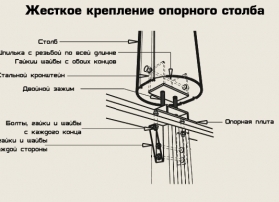 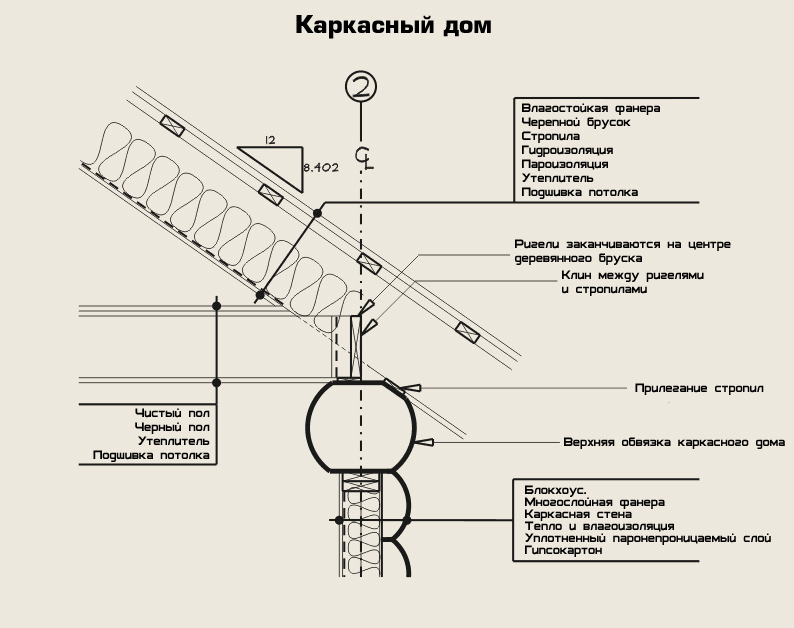 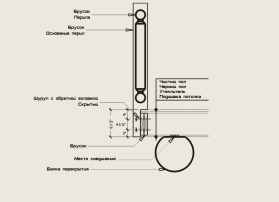 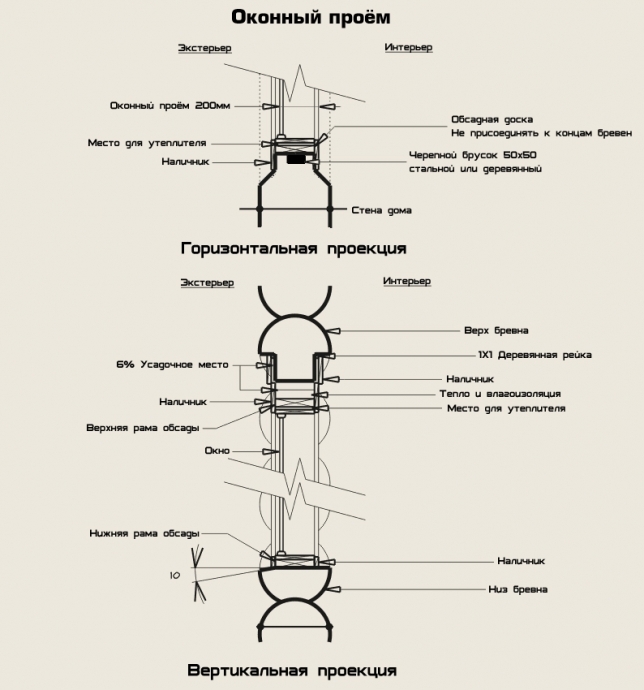 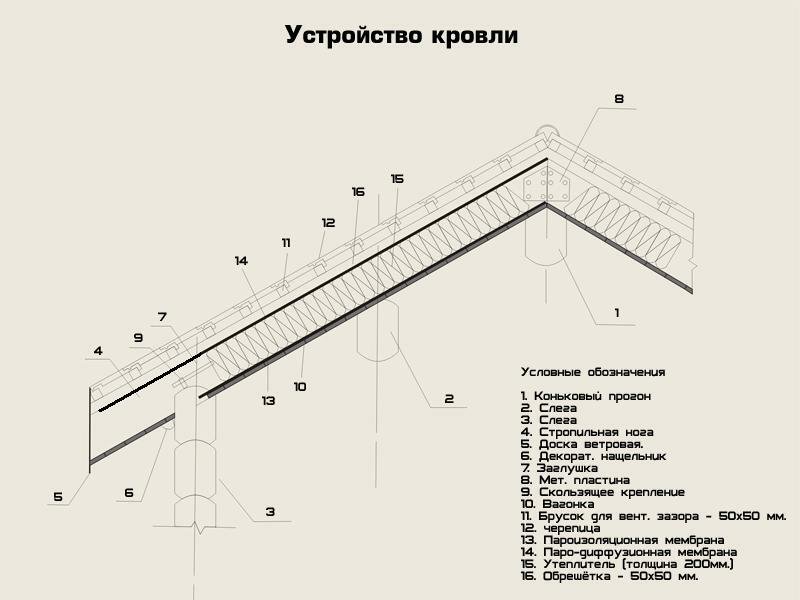 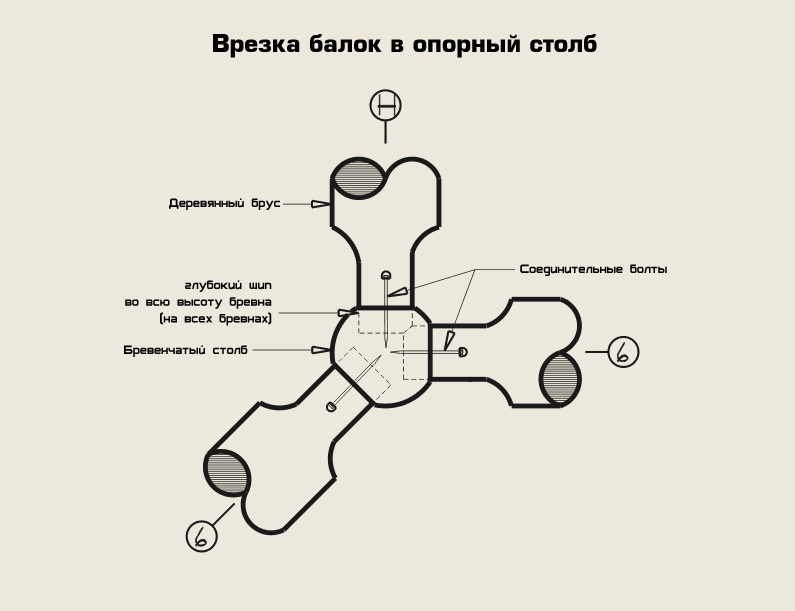 It is traditionally Russian construction style. 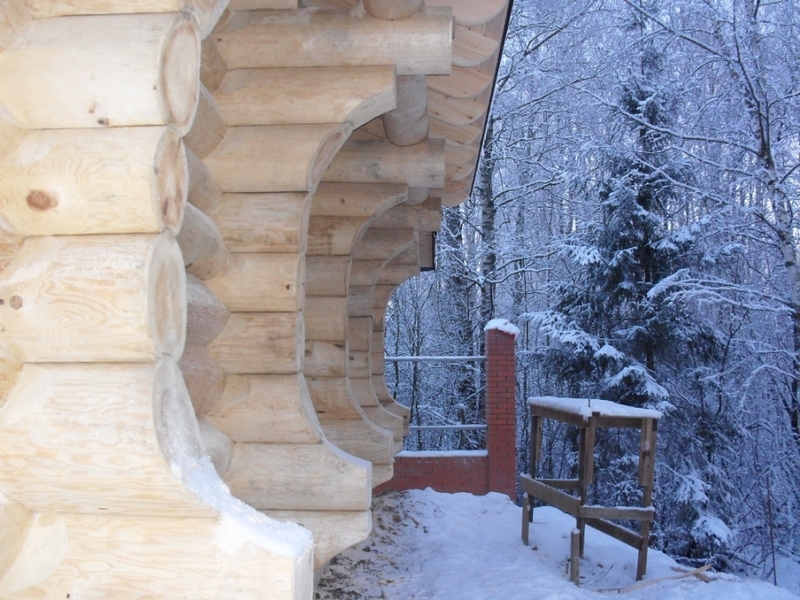 Handcrafted construction makes the house special due to individual architectural solutions and building types. 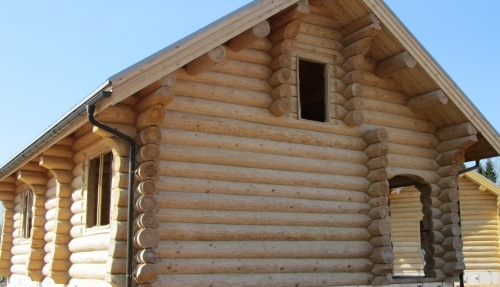 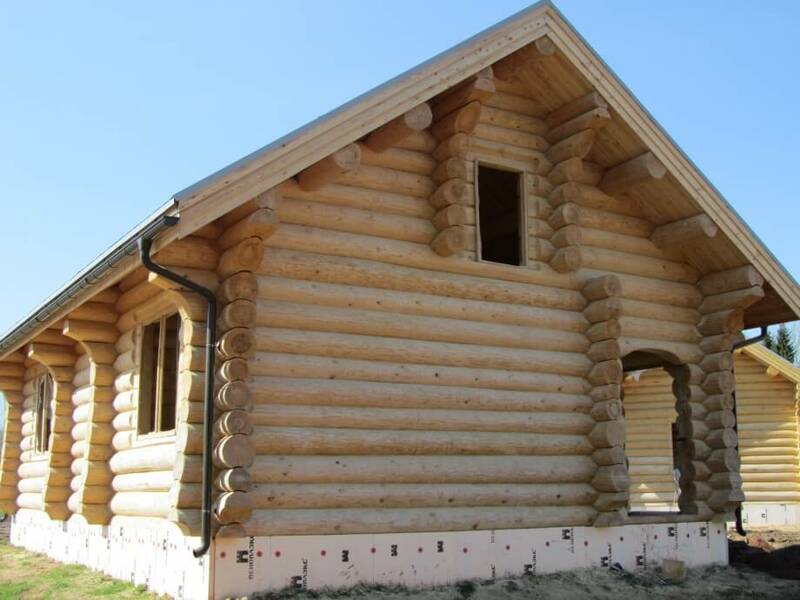 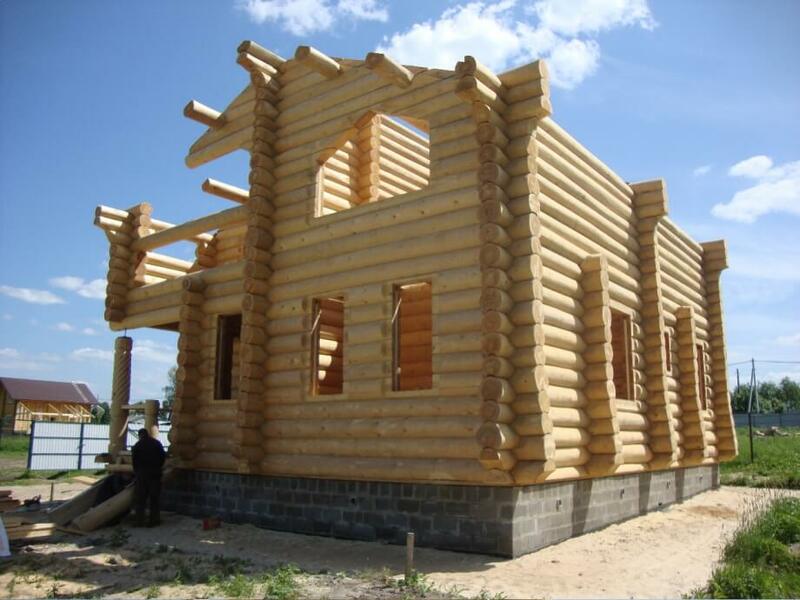 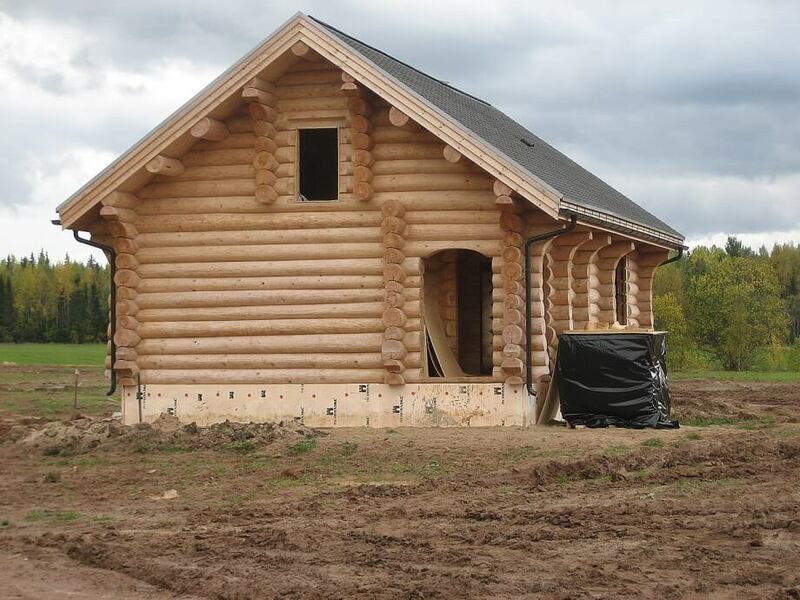 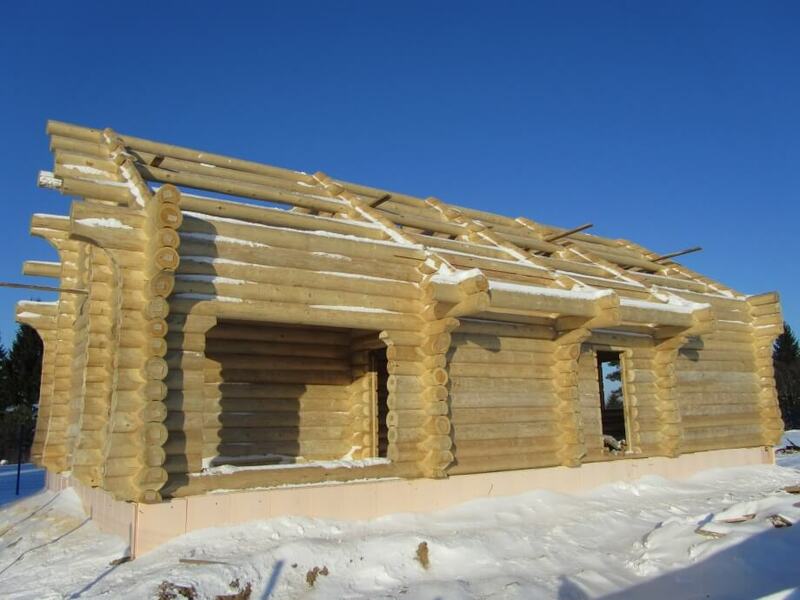 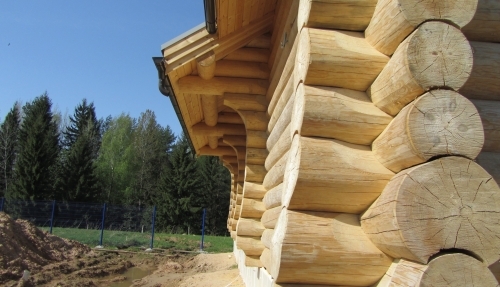 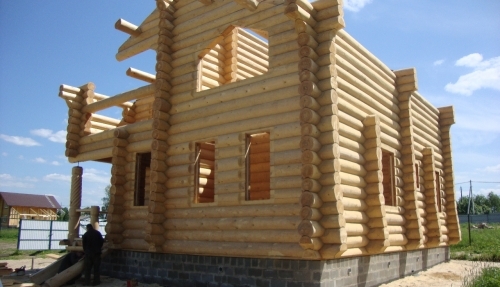 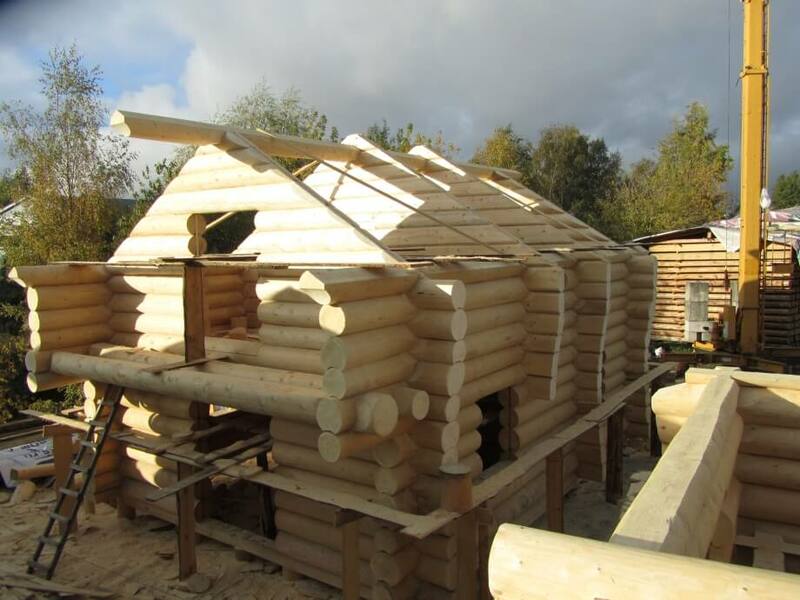 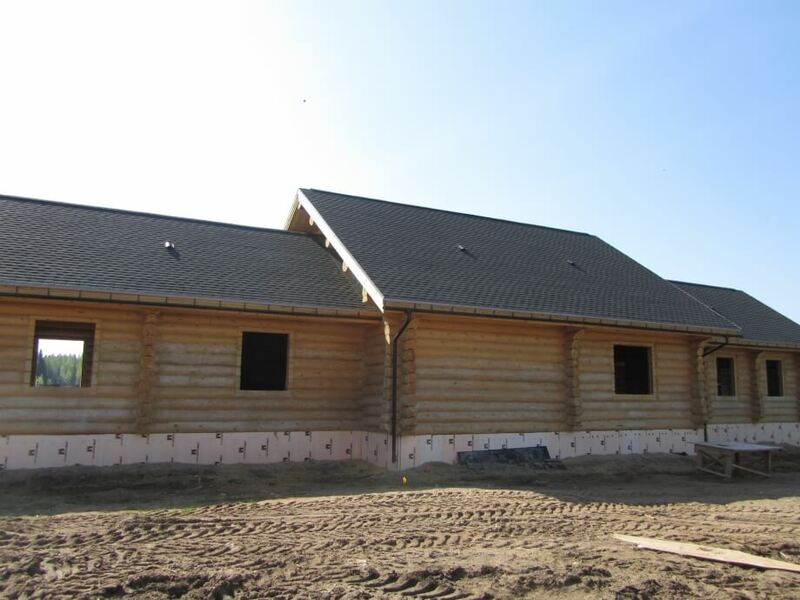 Timber house may remind you of the ancient Russian times or be an example of state-of-the-art dwelling home. 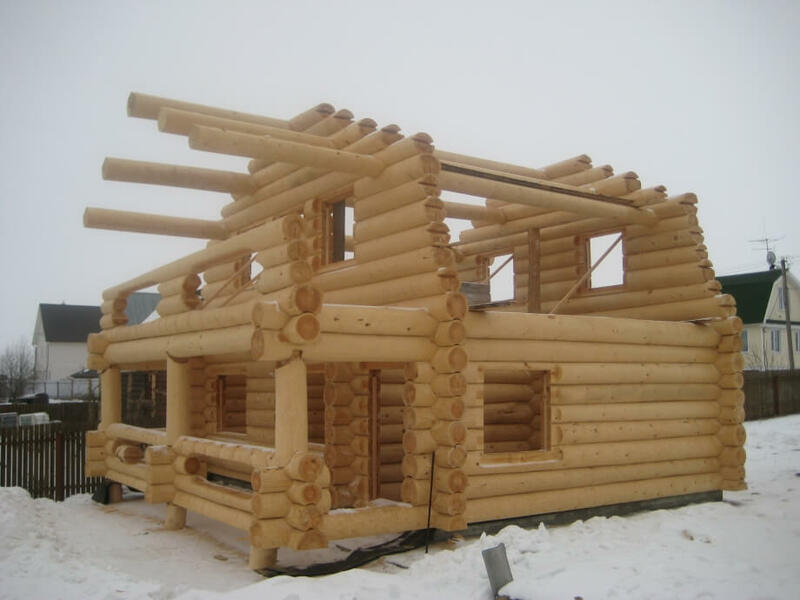 Applying some fantasy and spending some time for making a design project of the house you will get a remarkable home that will reflect your living style where every room will comply with your functional needs. 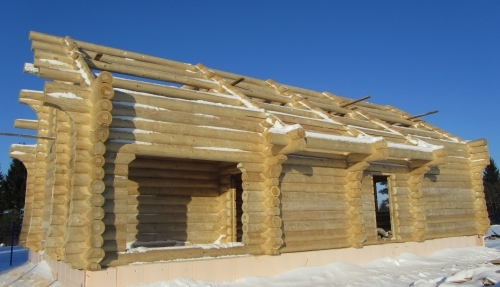 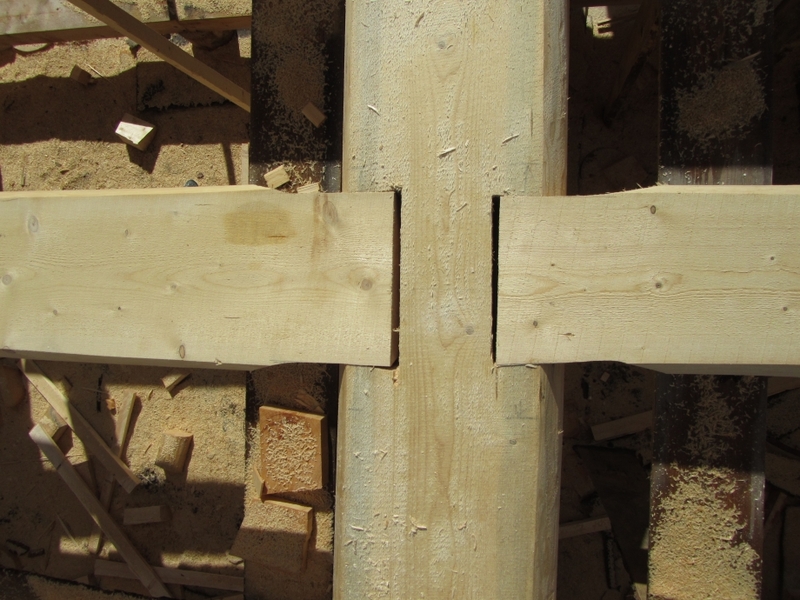 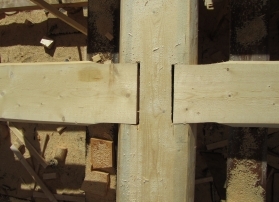 None of the other construction methods give the house such a bright and special character thanks to limited equipment that the wood could be processed with. 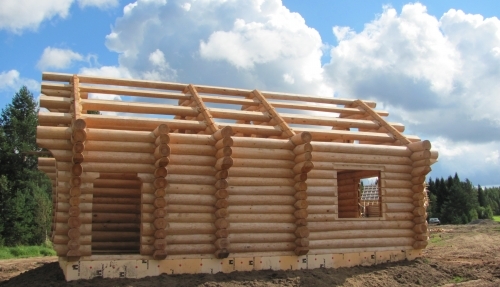 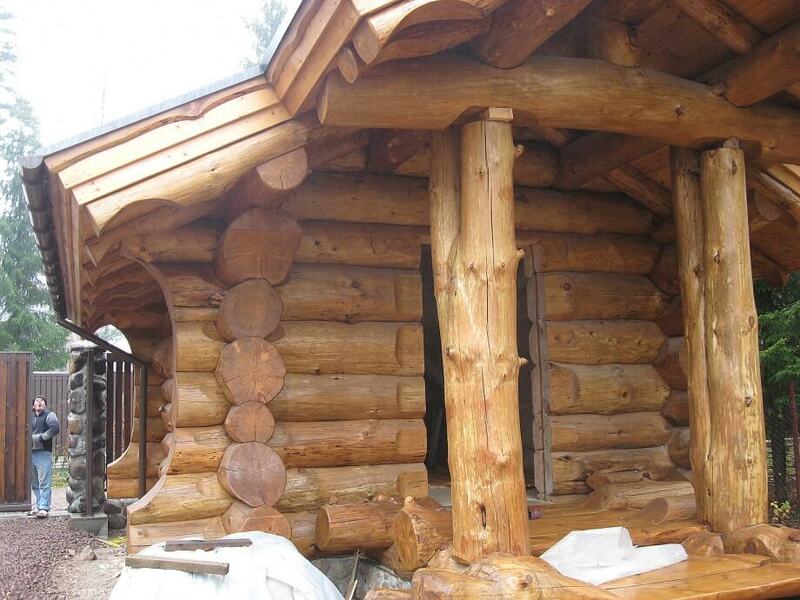 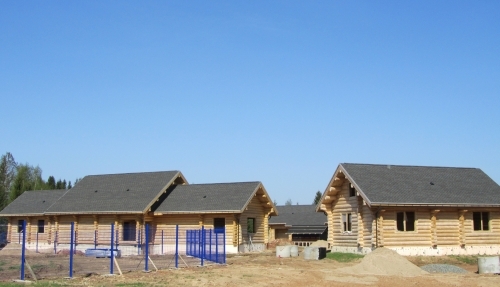 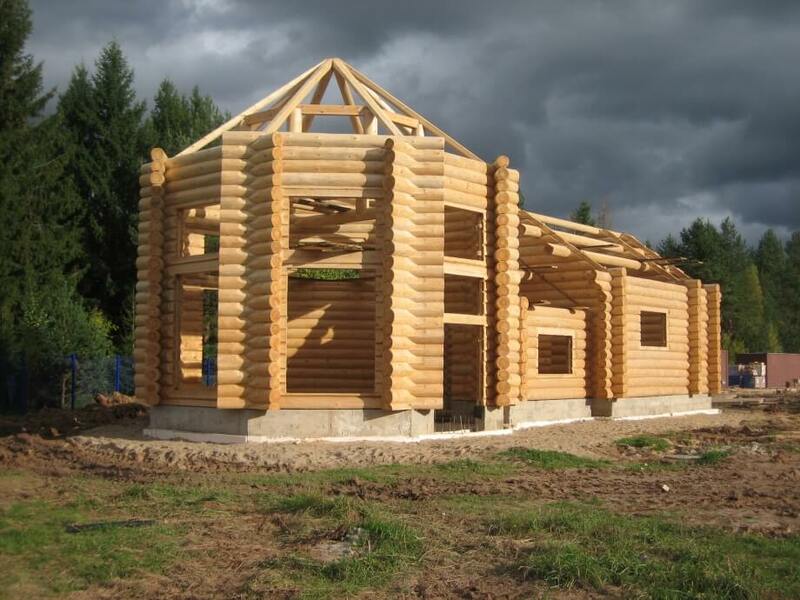 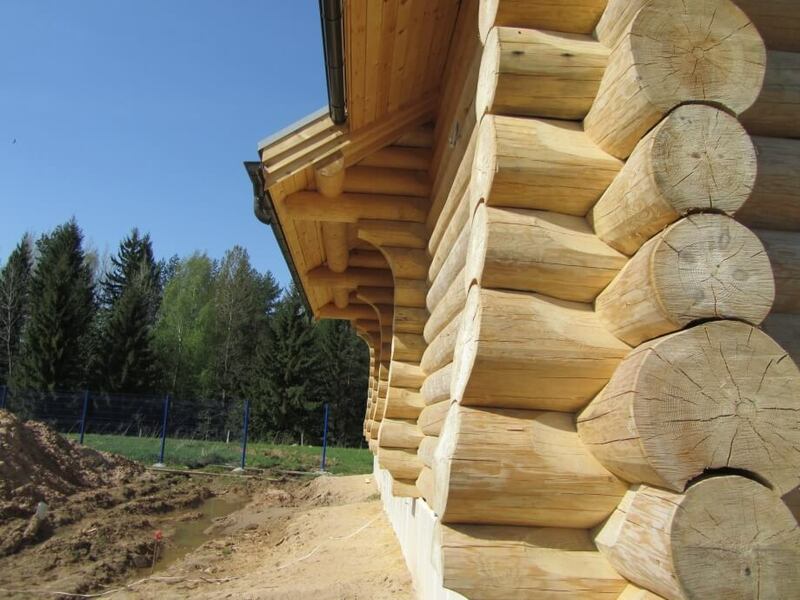 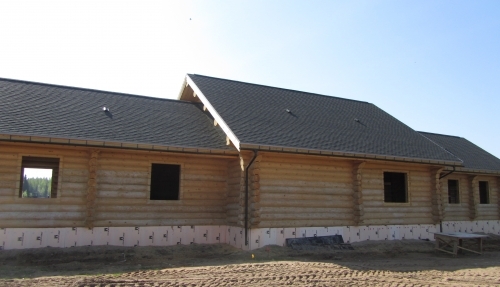 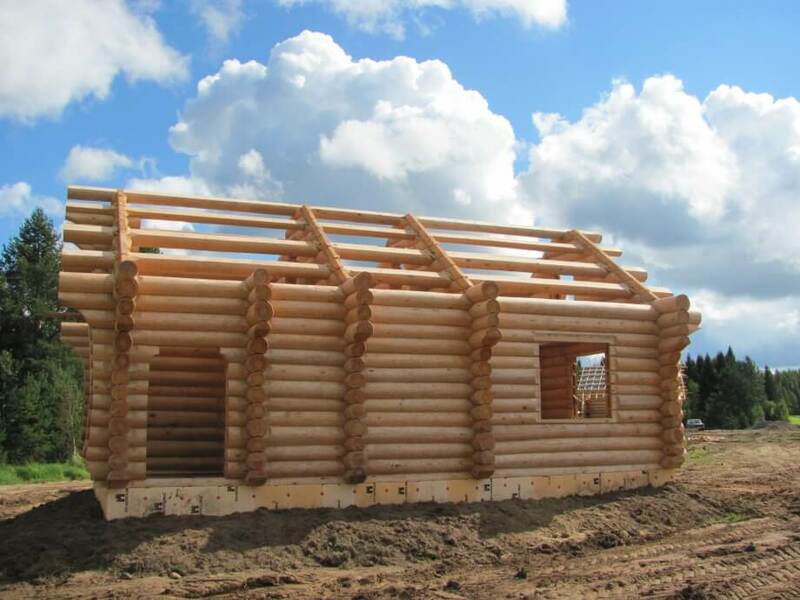 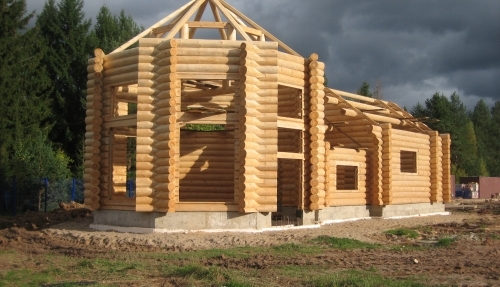 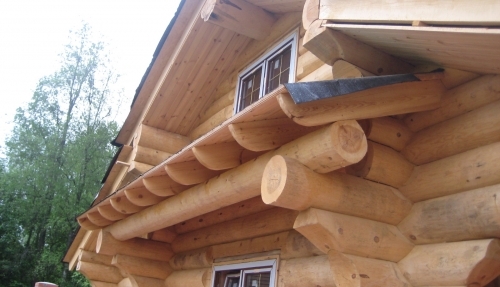 Handcrafted construction of timber houses allows to apply different types of wood such as pine, spurce, cedar, larch, aspen. 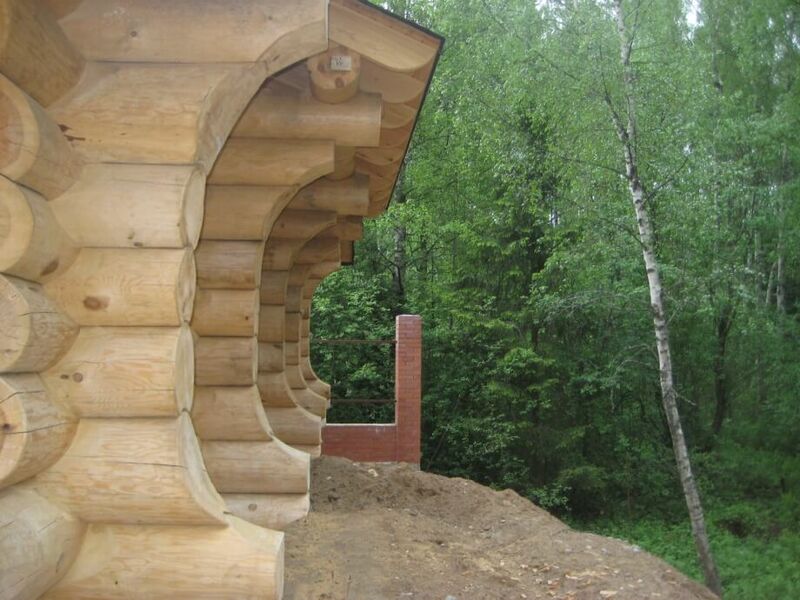 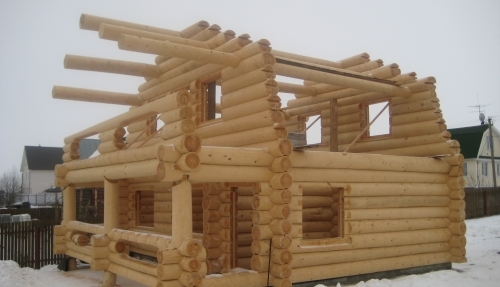 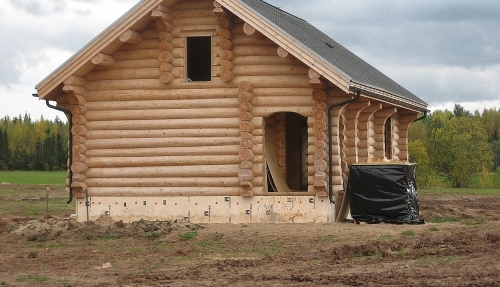 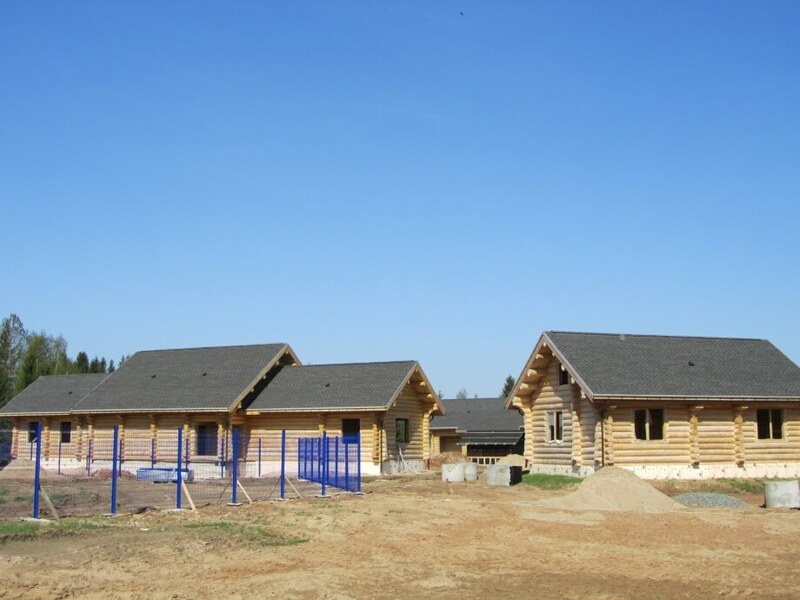 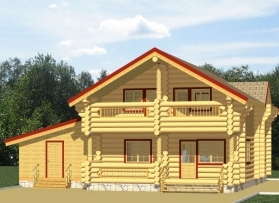 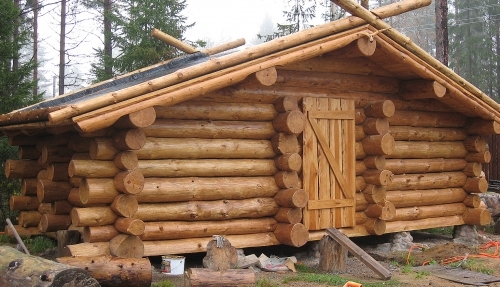 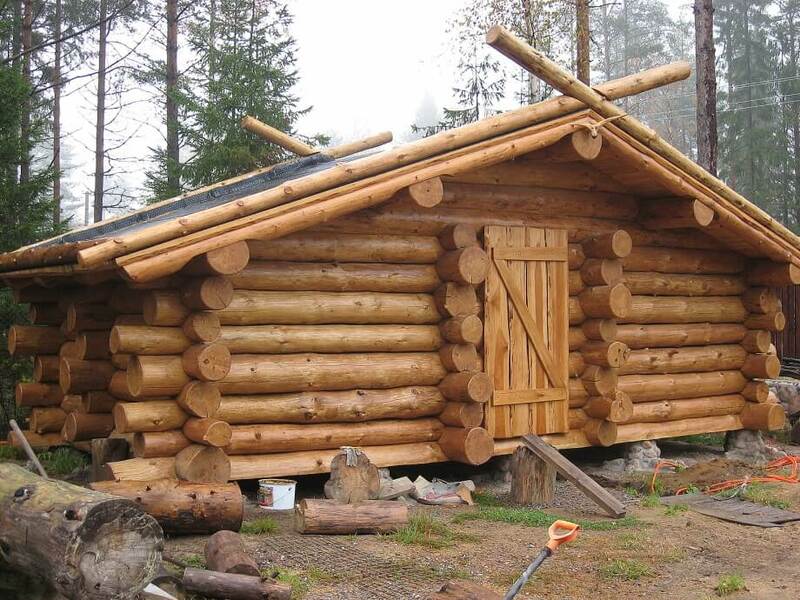 You can build timber house where lower rows are made of larch and that will prolong the life of the whole house. 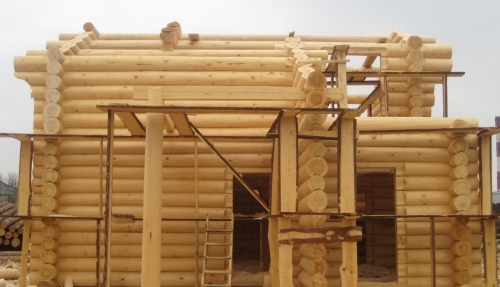 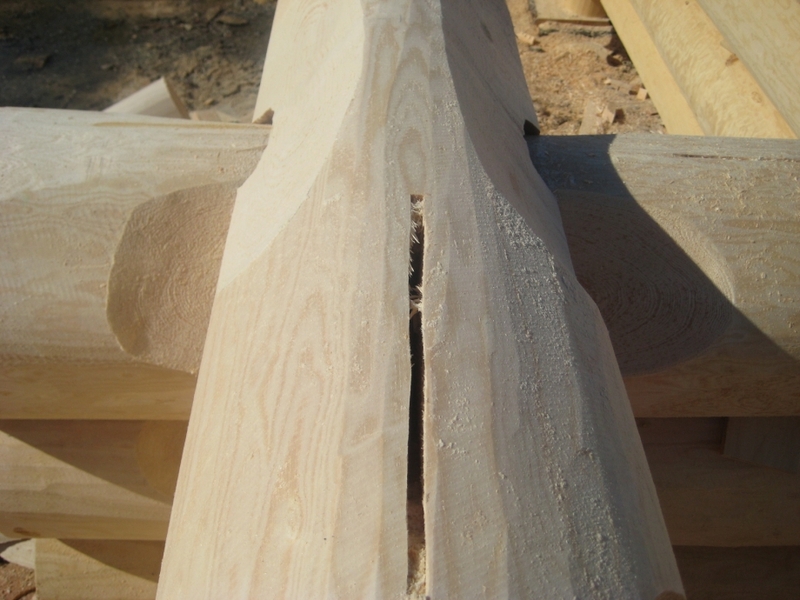 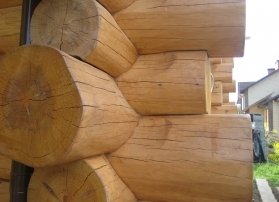 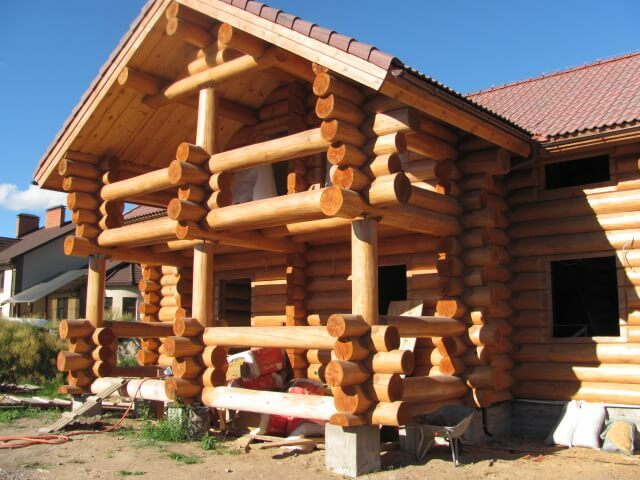 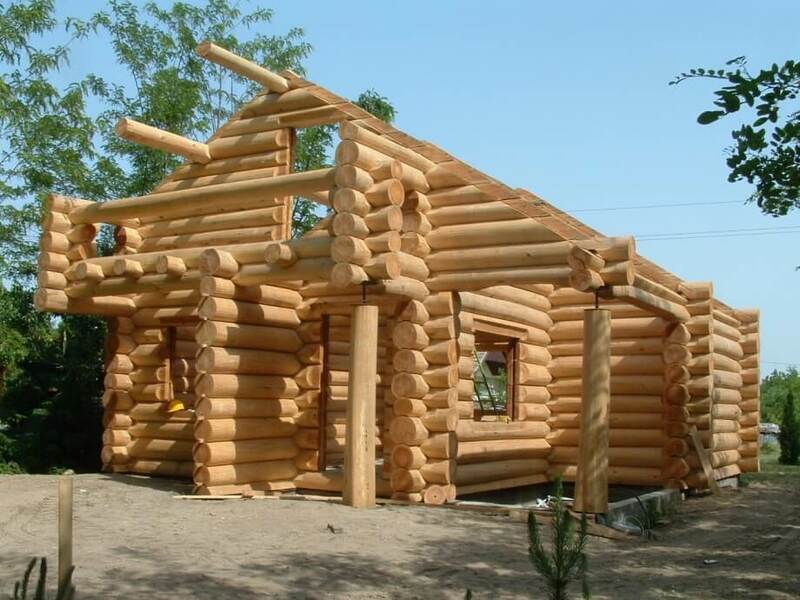 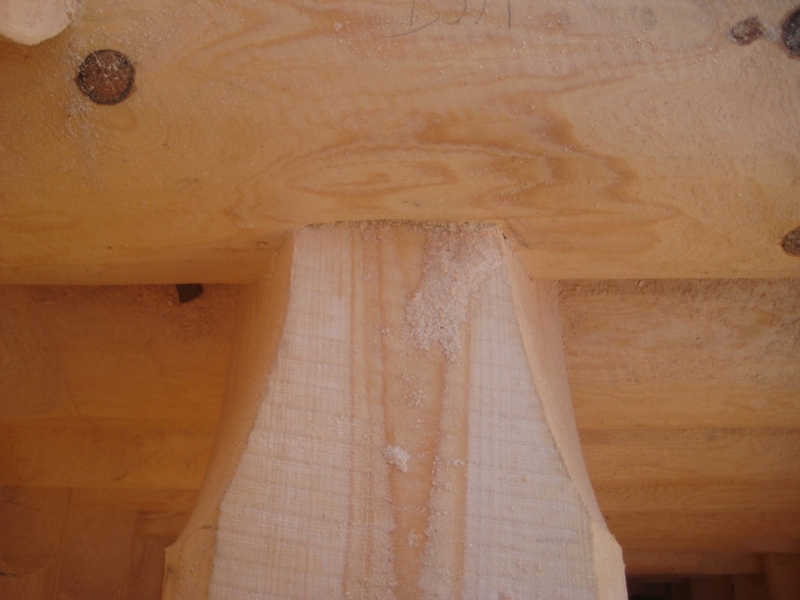 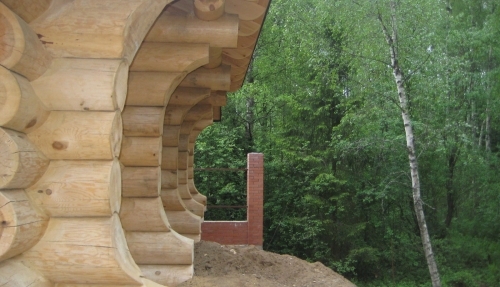 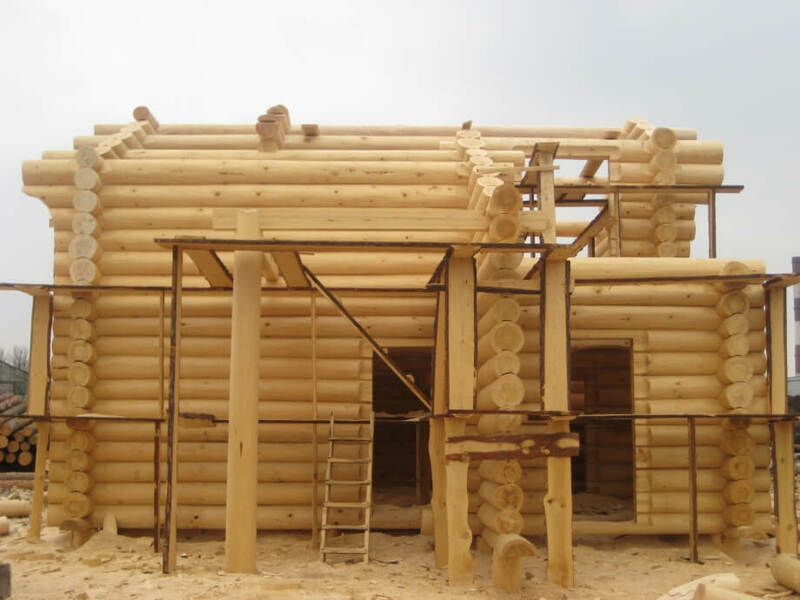 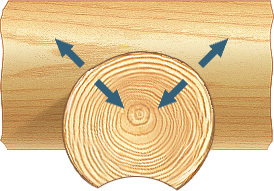 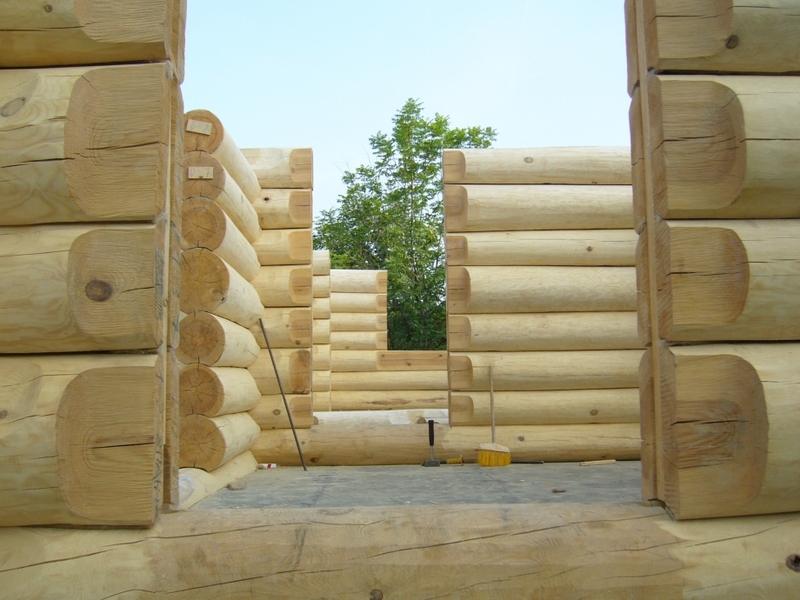 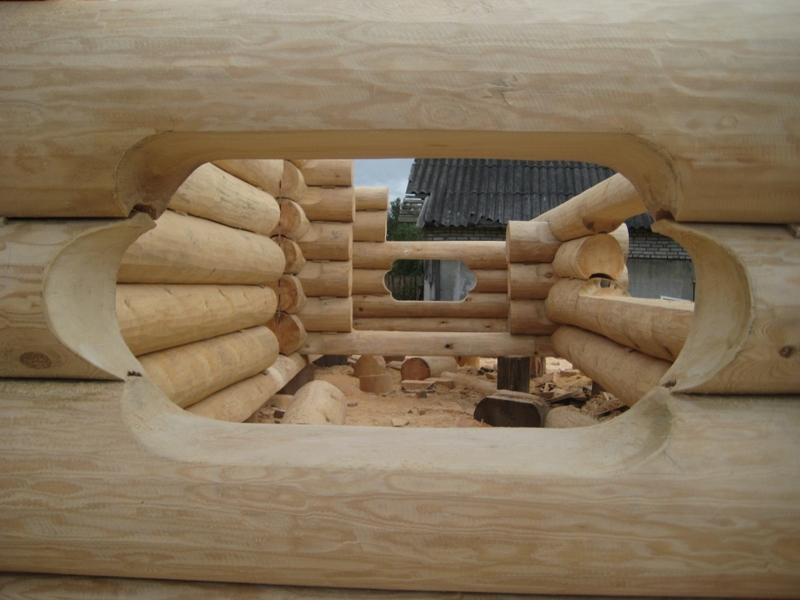 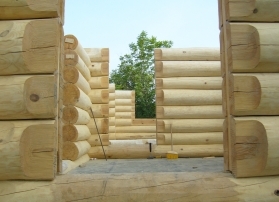 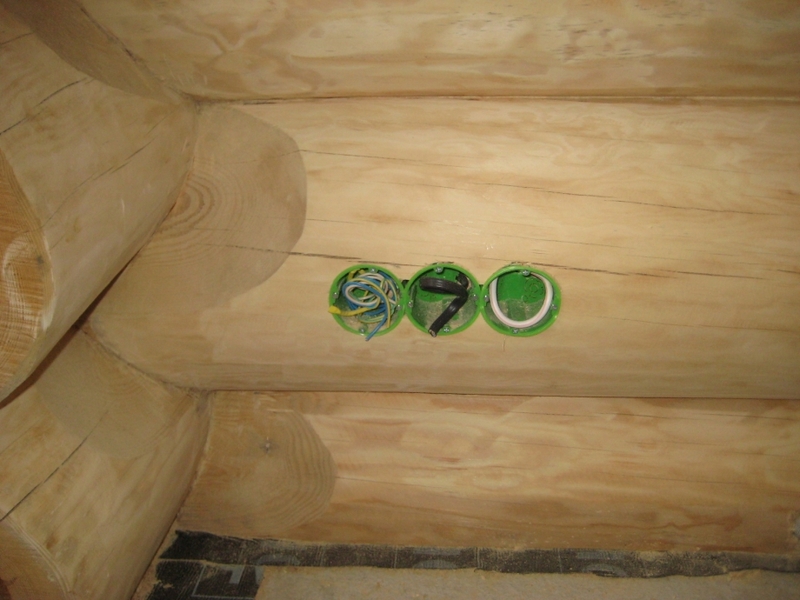 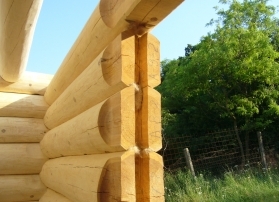 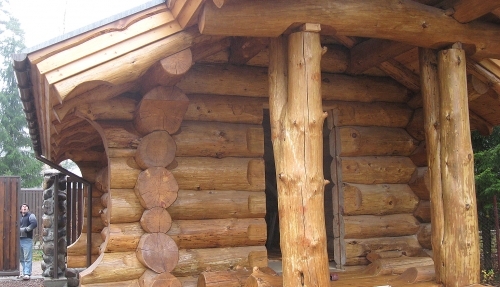 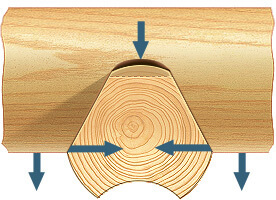 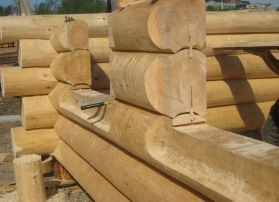 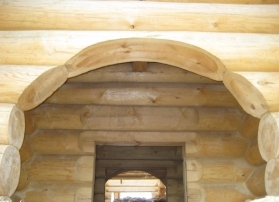 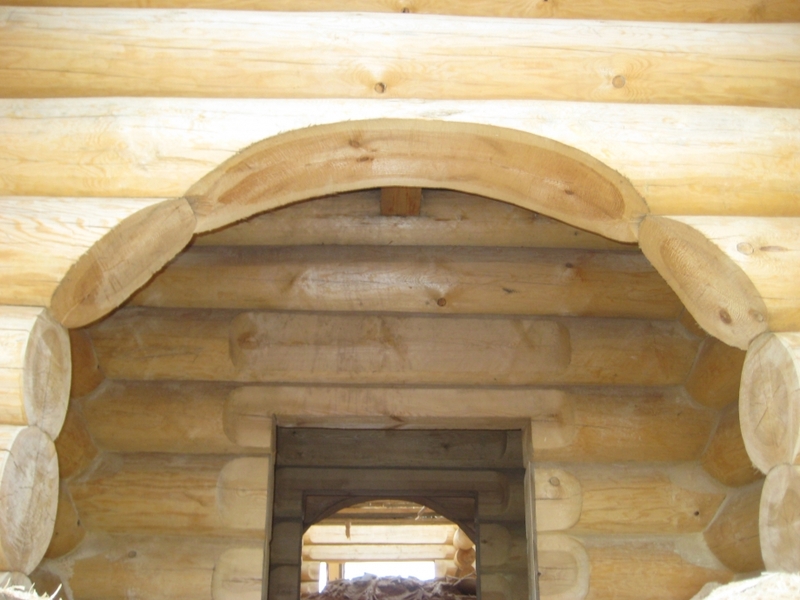 All inside and outside walls may be done of round logs of assigned diameter, inside walls can be hewn, outside walls of round logs and inside wall of round-edge cant (in this case you should remember that shrinkage of round-edge cant and round logs is different). 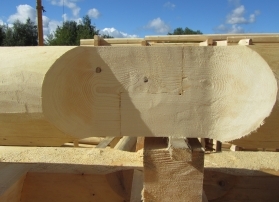 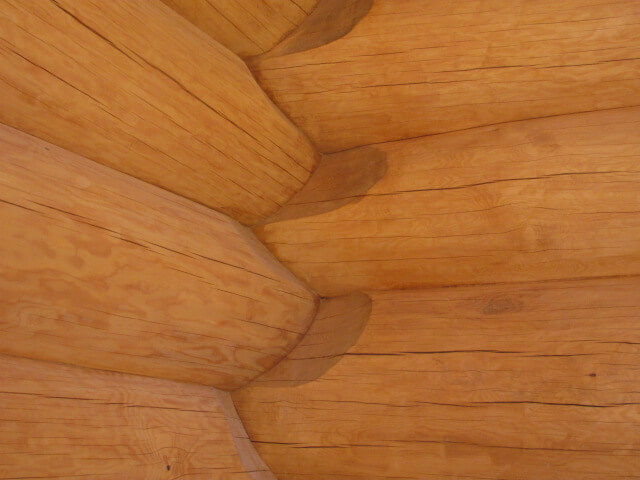 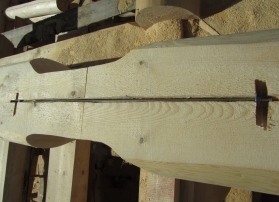 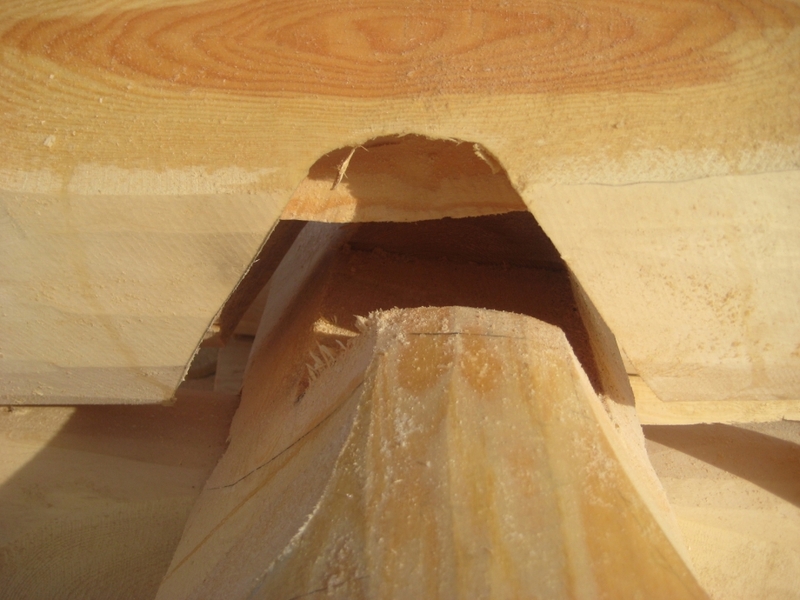 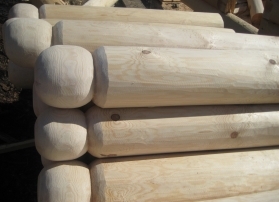 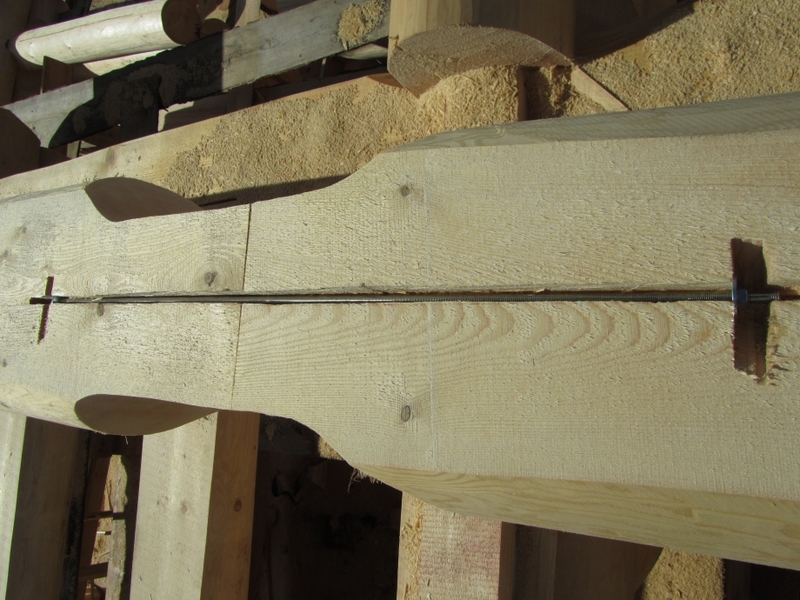 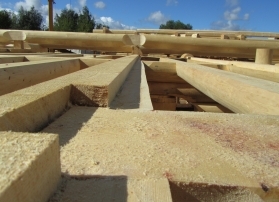 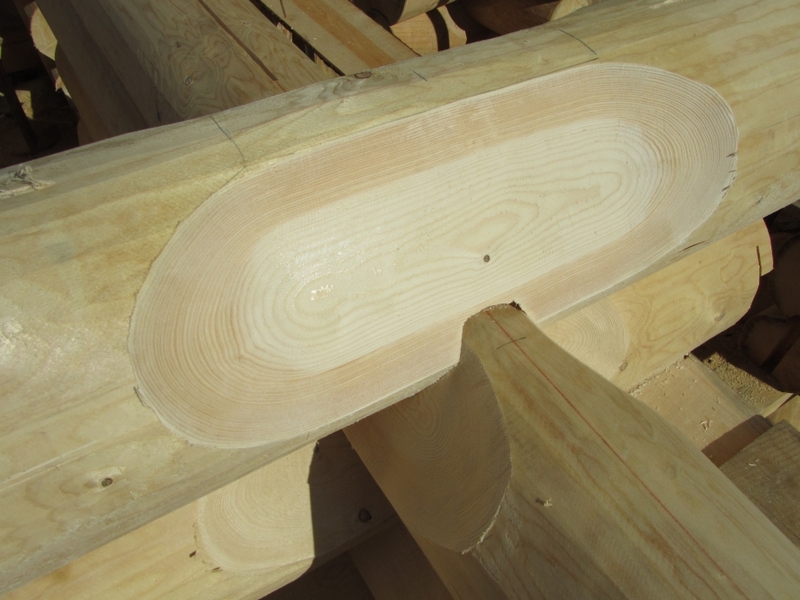 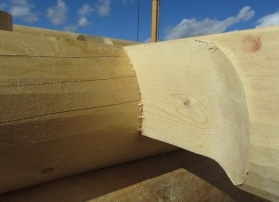 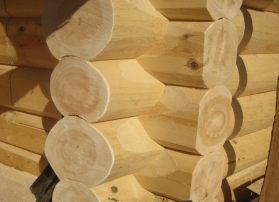 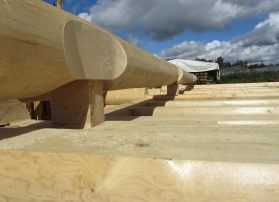 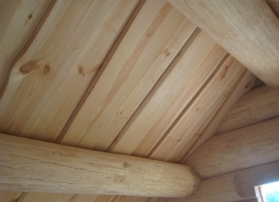 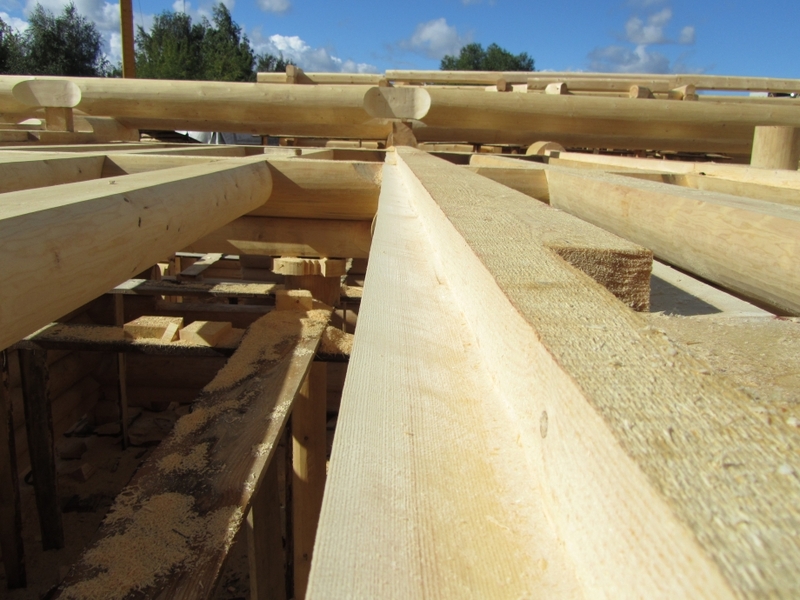 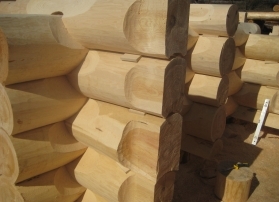 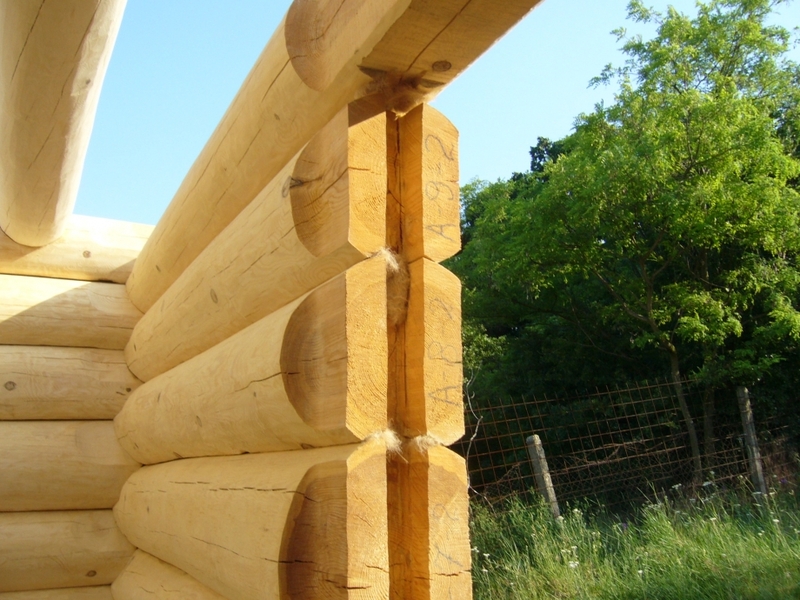 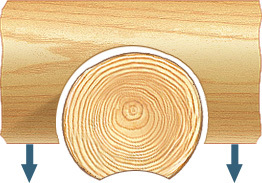 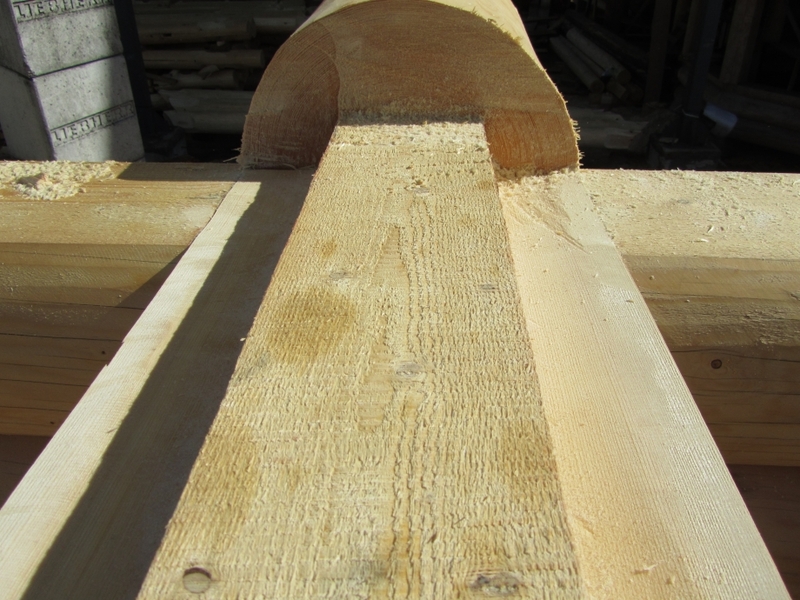 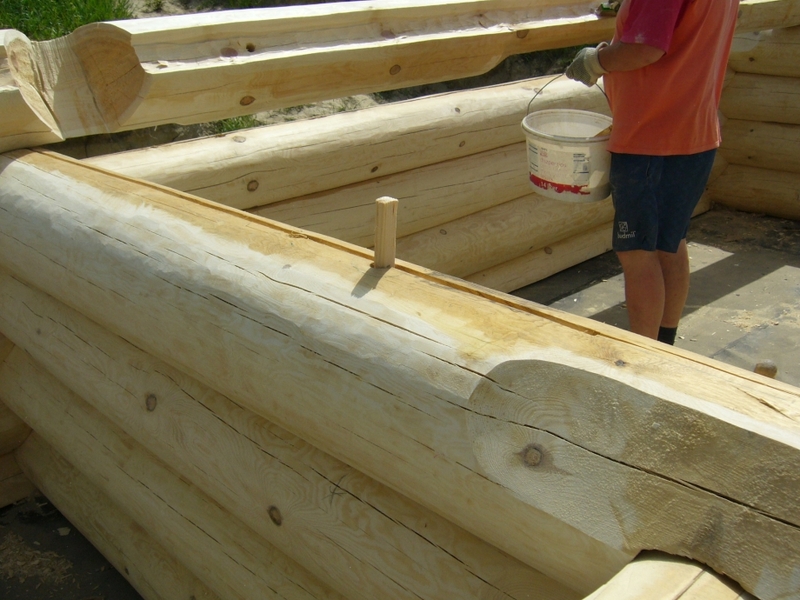 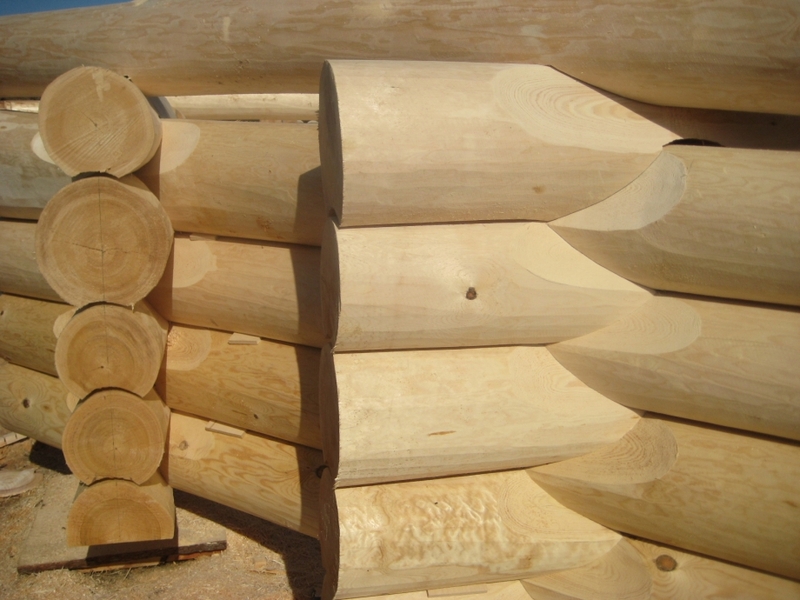 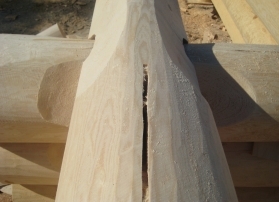 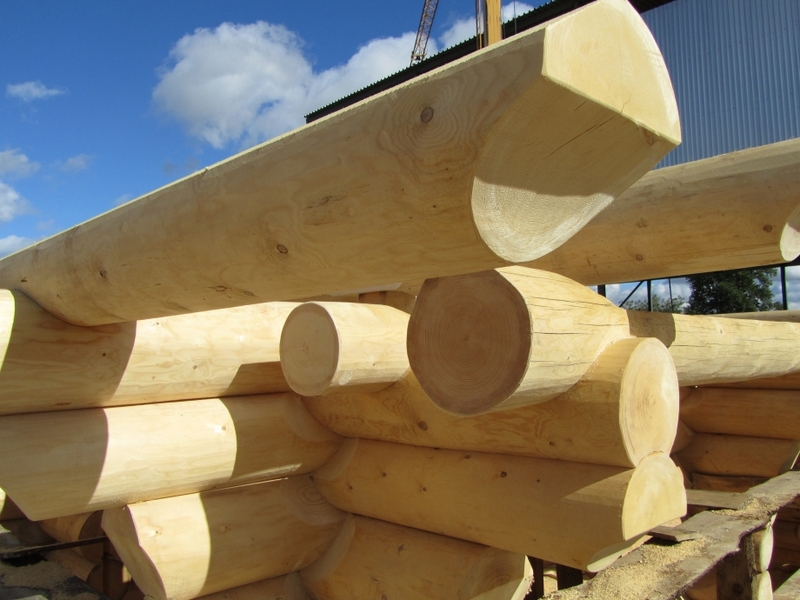 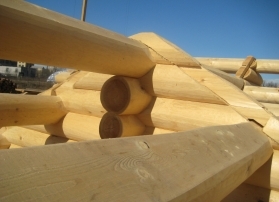 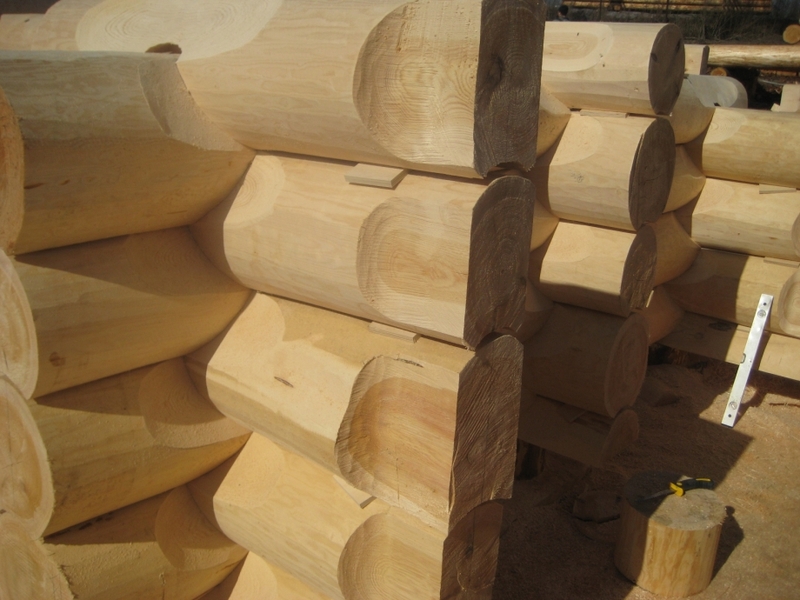 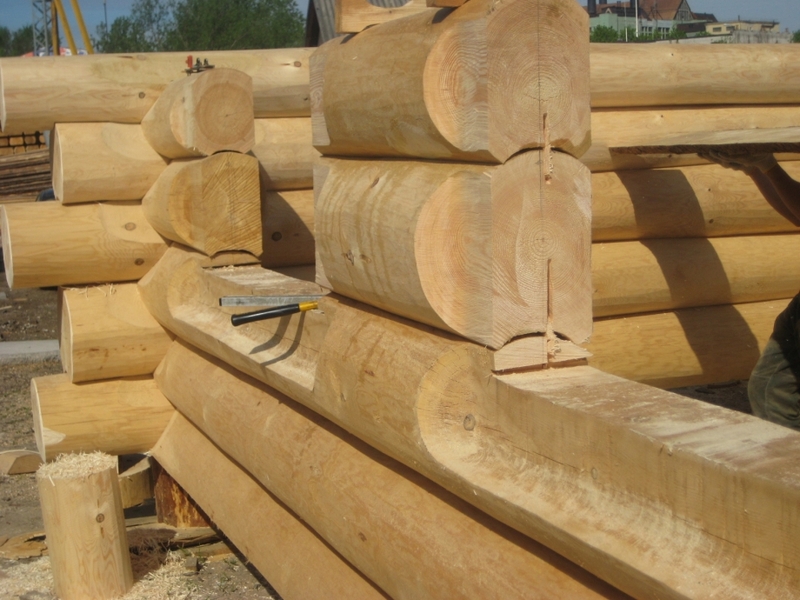 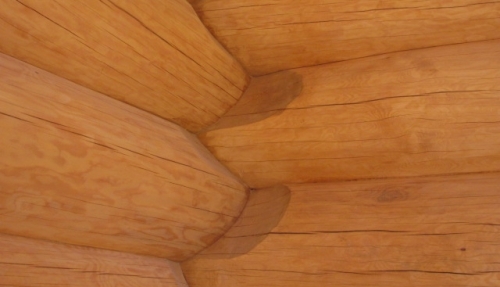 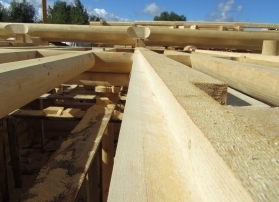 Materials – pine, larch or cedar. 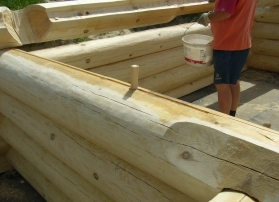 The first row or footboard may be done of larch. 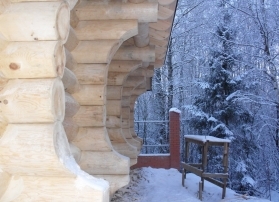 Beginning of shrinkage process. 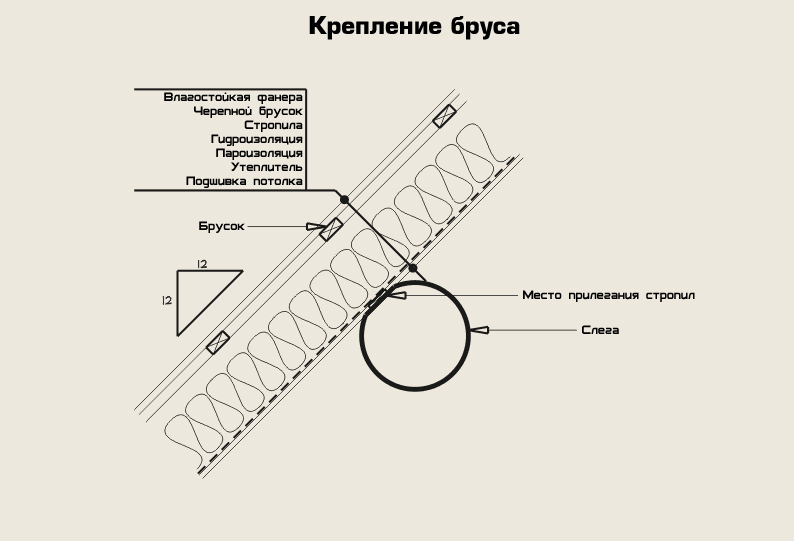 Initial gap is minimal. 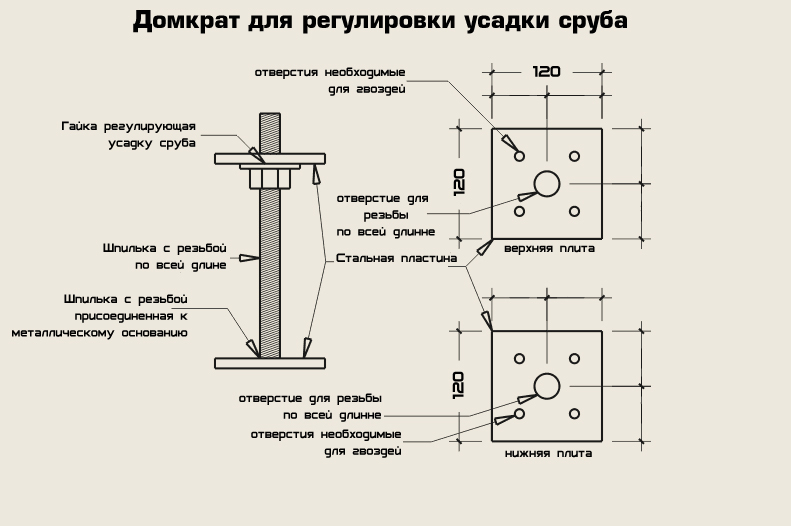 Midpoint of shrinkage process. 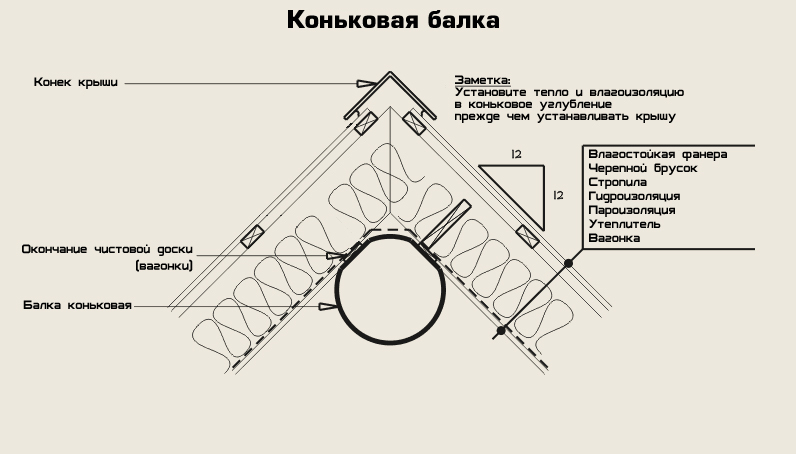 Location of earlier contacting surfaces. End of shrinkage process, sealing of walls is required. 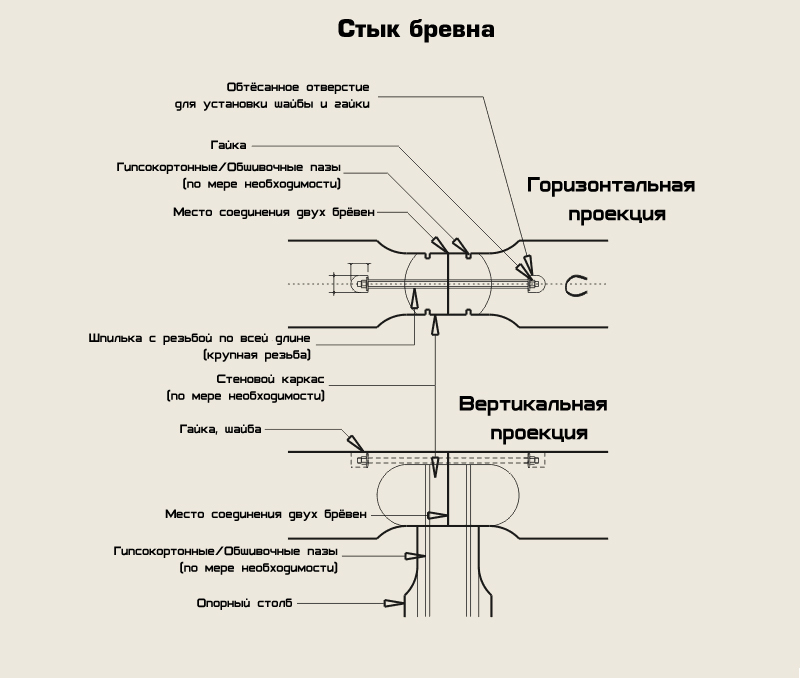 Beginning of shrinkage process. 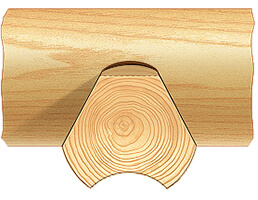 Upper gap in the notch is maximum. Midpoint of shrinkage process. Gaps reduce. Upper log lowers along the planes of hewn logs. 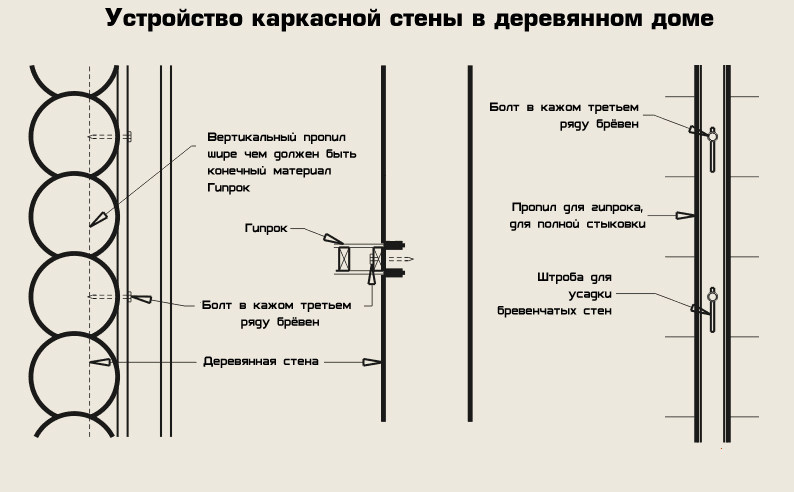 End of shrinkage process. 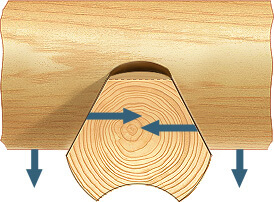 Gap in the notch is minimal, it is filled with heat insulation.